The Second Judicial District Commission on Judicial Performance, on a vote of 10-0, recommends that Judge Brian Thomas Campbell BE RETAINED. Judge Campbell was appointed to the Denver County Court in March 1980. Prior to his appointment to the bench, Judge Campbell was an attorney in private practice. 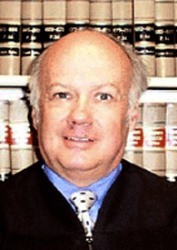 Judge Campbell received his undergraduate degree from Knox College in 1970 and his law degree from the University of Colorado in 1972. Throughout his tenure Judge Campbell has remained active in the legal community. In 2011 Judge Campbell was assigned to the newly formed Denver County Court Sobriety Court. The Commission reviewed survey results of attorneys and non-attorneys who have appeared in Judge Campbell’s courtroom, conducted a personal interview with the judge, and reviewed the transcripts of four hearings, an appellate decision, and his self-evaluation. Selected members of the Commission observed Judge Campbell in court. Judge Campbell’s overall combined average ratings by attorneys exceeded the average combined rating of all county court judges standing for retention, and his overall combined average ratings by non-attorneys was slightly below the average combined rating of all county judges standing for retention. Of all attorneys surveyed about retention, 81% recommended retention, 10% recommended against retention, and 8% expressed no opinion. Of the non-attorneys surveyed, 90% recommended retention, 4% recommended against retention, and 5% expressed no opinion. Judge Campbell received high marks on treating participants with respect and giving proceedings in his courtroom a sense of dignity, and received above average ratings for overall application and knowledge of the law. He is described by both attorneys and non-attorneys as being thoughtful, compassionate, and he maintains decorum in his courtroom. Members of the Commission and some attorney respondents have concerns about Judge Campbell’s ability to start proceedings on time. Judge Campbell attributes the delays to addressing administrative needs of the Sobriety Court prior to the start of the proceedings. The Commission recommends that proceedings start on time. The Commission was impressed with Judge Campbell’s commitment to the continued success of the Denver County Court Sobriety Court.